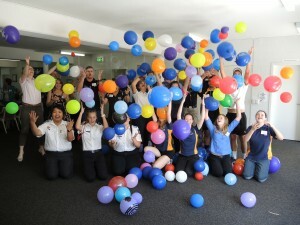 The Queensland Youth Alliance took the opportunity to address the Queensland Government’s “Queensland Youth Strategy” as part of the 2014 National Youth Week. The theme of the week was “Our Voice. Our Impact” which aligned with the idea of running a youth forum to provide a youth voice to discuss a range of relevant topics to the youth organisations represented. The forum was hosted by The Scout Association on Saturday 12 April 2014 and was attended by 19 young people aged 14 – 18. They represented Scouts, Girl Guides, Leos, St John Ambulance Cadets, Emergency Services Cadets, Girls’ Brigade and Boys’ Brigade. 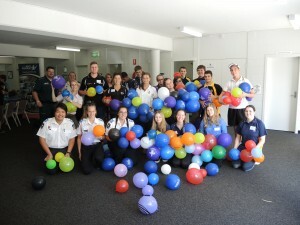 Adult observers attended from all these organisations and the Police Citizens’ Youth Clubs (PCYC). Young adults from the organisations assisted as facilitators, masters of ceremonies and recorders. The feedback in this report from the youth forum has been prepared by the youth participants selected from the groups. mechanisms to inform the Queensland Government on the value of the QYA organisations and the role that they play. The Youth Forum was carefully designed to promote collaboration between youth organisations and gave individuals an opportunity to help improve the society in which we live. The participants should be commended for their contribution to the forum and commitment to providing feedback on the Queensland Youth Strategy for the QYA organisations and the Queensland Government.